UP TO $1,000 OFF SELECT MINI MODELS 4/2-4/30 ONLY. Must take vehicle delivery by 4/30/2019. 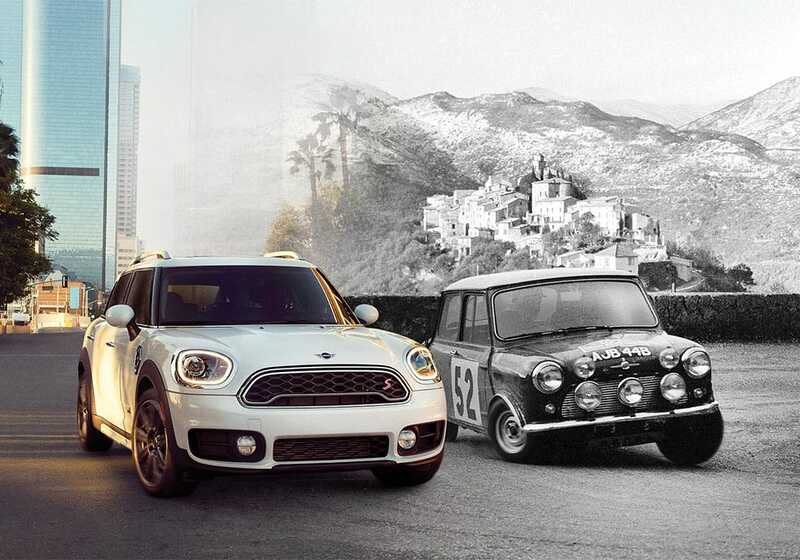 Available on select new 2019 MINI models at participating MINI dealers, excluding Oxford Edition and Plug-in hybrid models. $1,000 off MINI Cooper S and John Cooper Works models and $500 off MINI Cooper models toward final MSRP. Certain exclusions apply. Valid on final negotiated price and can be combined with certain other MINI offers that are available at the time of purchase. Credit cannot be applied toward tax, title, registration, destination, handling, or other dealership fees. Options may be limited due to product availability at time of sale. ©2019 the MINI name, model names and logo are registered trademarks. Moonroof, Heated Seats, Smart Device Integration, SIGNATURE TRIM, ALL-SEASON TIRES, Turbo Charged, iPod/MP3 Input, Back-Up Camera. Cooper trim, Light White exterior and Carbon Black Leatherette interior. FUEL EFFICIENT 33 MPG Hwy/24 MPG City! Warranty 4 yrs/50k Miles - Drivetrain Warranty;KEY FEATURES INCLUDEBack-Up Camera, Turbocharged, iPod/MP3 Input, Dual Moonroof, Smart Device Integration. MINI Cooper with Light White exterior and Carbon Black Leatherette interior features a 3 Cylinder Engine with 134 HP at 4400 RPM*.OPTION PACKAGESSIGNATURE TRIM Connected Media System w/6.5 Touchscreen, Transmission: Steptronic Automatic, Active Driving Assistant, Comfort Access Keyless Entry, Heated Front Seats, Wheels: 18 x 7.5 Pair Spoke Alloy Style 532, Tires: 225/50R18, Automatic Climate Control, Piano Black Interior Surface, MINI Excitement Package, MINI Assist eCall, MINI TeleServices, ALL-SEASON TIRES.WHO WE ARETafel Motors' unparalleled customer experience begins the moment you enter our inviting, modern Mercedes-Benz dealership. Our entire staff of friendly, professional, and knowledgeable employees is focused and fully committed to meeting the needs of every guest visiting our showroom, service center, customer lounge, and our lifestyle boutique. Our goal is to deliver a customer experience so memorable that it sets a standard by which all future experiences will be judged.Horsepower calculations based on trim engine configuration. Fuel economy calculations based on original manufacturer data for trim engine configuration. Please confirm the accuracy of the included equipment by calling us prior to purchase. Moonroof, Heated Seats, Smart Device Integration, ALL-SEASON TIRES, SIGNATURE TRIM, Turbo Charged Engine, iPod/MP3 Input, Back-Up Camera. Chili Red exterior and Carbon Black Leatherette interior, Cooper trim. FUEL EFFICIENT 33 MPG Hwy/24 MPG City! Warranty 4 yrs/50k Miles - Drivetrain Warranty;KEY FEATURES INCLUDEBack-Up Camera, Turbocharged, iPod/MP3 Input, Dual Moonroof, Smart Device Integration. MINI Cooper with Chili Red exterior and Carbon Black Leatherette interior features a 3 Cylinder Engine with 134 HP at 4400 RPM*.OPTION PACKAGESSIGNATURE TRIM Connected Media System w/6.5 Touchscreen, Transmission: Steptronic Automatic, Active Driving Assistant, Comfort Access Keyless Entry, Heated Front Seats, Wheels: 18 x 7.5 Pair Spoke Alloy Style 532, Tires: 225/50R18, Automatic Climate Control, Piano Black Interior Surface, MINI Excitement Package, MINI Assist eCall, MINI TeleServices, ALL-SEASON TIRES.WHY BUY FROM USTafel Motors' unparalleled customer experience begins the moment you enter our inviting, modern Mercedes-Benz dealership. Our entire staff of friendly, professional, and knowledgeable employees is focused and fully committed to meeting the needs of every guest visiting our showroom, service center, customer lounge, and our lifestyle boutique. Our goal is to deliver a customer experience so memorable that it sets a standard by which all future experiences will be judged.Horsepower calculations based on trim engine configuration. Fuel economy calculations based on original manufacturer data for trim engine configuration. Please confirm the accuracy of the included equipment by calling us prior to purchase. Heated Seats, Moonroof, iPod/MP3 Input, Aluminum Wheels, ALL-SEASON TIRES, SIGNATURE TRIM, Back-Up Camera, All Wheel Drive, Turbo Charged Engine. Cooper S trim, Light White exterior and Carbon Black Leatherette interior. FUEL EFFICIENT 30 MPG Hwy/21 MPG City! Warranty 4 yrs/50k Miles - Drivetrain Warranty;KEY FEATURES INCLUDEAll Wheel Drive, Back-Up Camera, Turbocharged, iPod/MP3 Input, Dual Moonroof MINI Cooper S with Light White exterior and Carbon Black Leatherette interior features a 4 Cylinder Engine with 189 HP at 5000 RPM*.OPTION PACKAGESSIGNATURE TRIM Connected Media System w/6.5 Touchscreen, Transmission: Sport Automatic, Dynamic Damper Control, Active Driving Assistant, Comfort Access Keyless Entry, Heated Front Seats, Automatic Climate Control, MINI Driving Modes, JCW Leather Steering Wheel, Piano Black Interior Surface, MINI Assist eCall, MINI TeleServices, ALL-SEASON TIRES.MORE ABOUT USTafel Motors' unparalleled customer experience begins the moment you enter our inviting, modern Mercedes-Benz dealership. Our entire staff of friendly, professional, and knowledgeable employees is focused and fully committed to meeting the needs of every guest visiting our showroom, service center, customer lounge, and our lifestyle boutique. Our goal is to deliver a customer experience so memorable that it sets a standard by which all future experiences will be judged.Horsepower calculations based on trim engine configuration. Fuel economy calculations based on original manufacturer data for trim engine configuration. Please confirm the accuracy of the included equipment by calling us prior to purchase. Navigation, Sunroof, Heated Seats, iPod/MP3 Input, TOUCHSCREEN NAVIGATION PACKAGE, ALL-SEASON TIRES, SIGNATURE TRIM, Back-Up Camera, Turbo Charged. EPA 33 MPG Hwy/24 MPG City! Cooper trim, Melting Silver metallic exterior and Carbon Black Leatherette interior. Warranty 4 yrs/50k Miles - Drivetrain Warranty;KEY FEATURES INCLUDEBack-Up Camera, Turbocharged, iPod/MP3 Input, Dual Moonroof MINI Cooper with Melting Silver metallic exterior and Carbon Black Leatherette interior features a 3 Cylinder Engine with 134 HP at 4400 RPM*.OPTION PACKAGESSIGNATURE TRIM Connected Media System w/6.5 Touchscreen, Transmission: Steptronic Automatic, Active Driving Assistant, Comfort Access Keyless Entry, Heated Front Seats, Wheels: 18 x 7.5 Pair Spoke Alloy Style 532, Tires: 225/50R18, Automatic Climate Control, Piano Black Interior Surface, MINI Excitement Package, MINI Assist eCall, MINI TeleServices, TOUCHSCREEN NAVIGATION PACKAGE Remote Services, Advanced Real-Time Traffic Information, Apple CarPlay Compatibility, MINI Assist eCall, Wireless Charging & Enhanced Bluetooth, MINI Navigation, MINI Connected XL, MINI TeleServices, ALL-SEASON TIRES.MORE ABOUT USTafel Motors' unparalleled customer experience begins the moment you enter our inviting, modern Mercedes-Benz dealership. Our entire staff of friendly, professional, and knowledgeable employees is focused and fully committed to meeting the needs of every guest visiting our showroom, service center, customer lounge, and our lifestyle boutique. Our goal is to deliver a customer experience so memorable that it sets a standard by which all future experiences will be judged.Horsepower calculations based on trim engine configuration. Fuel economy calculations based on original manufacturer data for trim engine configuration. Please confirm the accuracy of the included equipment by calling us prior to purchase. Heated Seats, Sunroof, SIGNATURE TRIM, Turbo, All Wheel Drive, iPod/MP3 Input, Back-Up Camera. FUEL EFFICIENT 32 MPG Hwy/22 MPG City! Chili Red exterior and Carbon Black Leatherette interior, Cooper trim. Warranty 4 yrs/50k Miles - Drivetrain Warranty;KEY FEATURES INCLUDEAll Wheel Drive, Back-Up Camera, Turbocharged, iPod/MP3 Input, Dual Moonroof MINI Cooper with Chili Red exterior and Carbon Black Leatherette interior features a 3 Cylinder Engine with 134 HP at 4400 RPM*.OPTION PACKAGESSIGNATURE TRIM Connected Media System w/6.5 Touchscreen, Transmission: Steptronic Automatic, Active Driving Assistant, Comfort Access Keyless Entry, Heated Front Seats, Wheels: 18 x 7.5 Pair Spoke Alloy Style 532, Tires: 225/50R18, Automatic Climate Control, Piano Black Interior Surface, MINI Excitement Package, MINI Assist eCall, MINI TeleServices.WHY BUY FROM USTafel Motors' unparalleled customer experience begins the moment you enter our inviting, modern Mercedes-Benz dealership. Our entire staff of friendly, professional, and knowledgeable employees is focused and fully committed to meeting the needs of every guest visiting our showroom, service center, customer lounge, and our lifestyle boutique. Our goal is to deliver a customer experience so memorable that it sets a standard by which all future experiences will be judged.Horsepower calculations based on trim engine configuration. Fuel economy calculations based on original manufacturer data for trim engine configuration. Please confirm the accuracy of the included equipment by calling us prior to purchase. Heated Seats, Sunroof, iPod/MP3 Input, Alloy Wheels, ALL-SEASON TIRES, SIGNATURE TRIM, Back-Up Camera, All Wheel Drive, Turbo. EPA 30 MPG Hwy/21 MPG City! Melting Silver metallic exterior and Carbon Black Leatherette interior, Cooper S trim. Warranty 4 yrs/50k Miles - Drivetrain Warranty;KEY FEATURES INCLUDEAll Wheel Drive, Back-Up Camera, Turbocharged, iPod/MP3 Input, Dual Moonroof MINI Cooper S with Melting Silver metallic exterior and Carbon Black Leatherette interior features a 4 Cylinder Engine with 189 HP at 5000 RPM*.OPTION PACKAGESSIGNATURE TRIM Connected Media System w/6.5 Touchscreen, Transmission: Sport Automatic, Dynamic Damper Control, Active Driving Assistant, Comfort Access Keyless Entry, Heated Front Seats, Automatic Climate Control, MINI Driving Modes, JCW Leather Steering Wheel, Piano Black Interior Surface, MINI Assist eCall, MINI TeleServices, ALL-SEASON TIRES.VISIT US TODAYTafel Motors' unparalleled customer experience begins the moment you enter our inviting, modern Mercedes-Benz dealership. Our entire staff of friendly, professional, and knowledgeable employees is focused and fully committed to meeting the needs of every guest visiting our showroom, service center, customer lounge, and our lifestyle boutique. Our goal is to deliver a customer experience so memorable that it sets a standard by which all future experiences will be judged.Horsepower calculations based on trim engine configuration. Fuel economy calculations based on original manufacturer data for trim engine configuration. Please confirm the accuracy of the included equipment by calling us prior to purchase. Heated Seats, Sunroof, iPod/MP3 Input, Bluetooth, ALL-SEASON TIRES, HEATED FRONT SEATS, TRANSMISSION: SPORT AUTOMATIC, Alloy Wheels, All Wheel Drive, Back-Up Camera, Turbo. FUEL EFFICIENT 30 MPG Hwy/21 MPG City! Chili Red exterior and Carbon Black Leatherette interior, Cooper S trim. Warranty 4 yrs/50k Miles - Drivetrain Warranty;KEY FEATURES INCLUDEAll Wheel Drive, Back-Up Camera, Turbocharged, iPod/MP3 Input, Bluetooth. MINI Cooper S with Chili Red exterior and Carbon Black Leatherette interior features a 4 Cylinder Engine with 189 HP at 5000 RPM*.OPTION PACKAGESTRANSMISSION: SPORT AUTOMATIC, HEATED FRONT SEATS, ALL-SEASON TIRES.VISIT US TODAYTafel Motors' unparalleled customer experience begins the moment you enter our inviting, modern Mercedes-Benz dealership. Our entire staff of friendly, professional, and knowledgeable employees is focused and fully committed to meeting the needs of every guest visiting our showroom, service center, customer lounge, and our lifestyle boutique. Our goal is to deliver a customer experience so memorable that it sets a standard by which all future experiences will be judged.Horsepower calculations based on trim engine configuration. Fuel economy calculations based on original manufacturer data for trim engine configuration. Please confirm the accuracy of the included equipment by calling us prior to purchase. Moonroof, Heated Seats, Nav System, iPod/MP3 Input, Back-Up Camera, SIGNATURE TRIM, TOUCHSCREEN NAVIGATION PACKAGE, ALL-SEASON TIRES, All Wheel Drive, Turbo Charged Engine, Aluminum Wheels. Midnight Black metallic exterior and Carbon Black Leatherette interior, Cooper S trim. FUEL EFFICIENT 30 MPG Hwy/21 MPG City! Warranty 4 yrs/50k Miles - Drivetrain Warranty;KEY FEATURES INCLUDEAll Wheel Drive, Back-Up Camera, Turbocharged, iPod/MP3 Input, Dual Moonroof. MINI Cooper S with Midnight Black metallic exterior and Carbon Black Leatherette interior features a 4 Cylinder Engine with 189 HP at 5000 RPM*.OPTION PACKAGESSIGNATURE TRIM Connected Media System w/6.5 Touchscreen, Transmission: Sport Automatic, Dynamic Damper Control, Active Driving Assistant, Comfort Access Keyless Entry, Heated Front Seats, Automatic Climate Control, MINI Driving Modes, JCW Leather Steering Wheel, Piano Black Interior Surface, MINI Assist eCall, MINI TeleServices, TOUCHSCREEN NAVIGATION PACKAGE Remote Services, Advanced Real-Time Traffic Information, Apple CarPlay Compatibility, MINI Assist eCall, Wireless Charging & Enhanced Bluetooth, MINI Navigation, MINI Connected XL, MINI TeleServices, ALL-SEASON TIRES.VISIT US TODAYTafel Motors' unparalleled customer experience begins the moment you enter our inviting, modern Mercedes-Benz dealership. Our entire staff of friendly, professional, and knowledgeable employees is focused and fully committed to meeting the needs of every guest visiting our showroom, service center, customer lounge, and our lifestyle boutique. Our goal is to deliver a customer experience so memorable that it sets a standard by which all future experiences will be judged.Horsepower calculations based on trim engine configuration. Fuel economy calculations based on original manufacturer data for trim engine configuration. Please confirm the accuracy of the included equipment by calling us prior to purchase. Heated Seats, Moonroof, iPod/MP3 Input, Aluminum Wheels, ALL-SEASON TIRES, SIGNATURE TRIM, Back-Up Camera, All Wheel Drive, Turbo Charged Engine. Thunder Grey metallic exterior and Carbon Black Leatherette interior, Cooper S trim. EPA 30 MPG Hwy/21 MPG City! Warranty 4 yrs/50k Miles - Drivetrain Warranty;KEY FEATURES INCLUDEAll Wheel Drive, Back-Up Camera, Turbocharged, iPod/MP3 Input, Dual Moonroof. MINI Cooper S with Thunder Grey metallic exterior and Carbon Black Leatherette interior features a 4 Cylinder Engine with 189 HP at 5000 RPM*.OPTION PACKAGESSIGNATURE TRIM Connected Media System w/6.5 Touchscreen, Transmission: Sport Automatic, Dynamic Damper Control, Active Driving Assistant, Comfort Access Keyless Entry, Heated Front Seats, Automatic Climate Control, MINI Driving Modes, JCW Leather Steering Wheel, Piano Black Interior Surface, MINI Assist eCall, MINI TeleServices, ALL-SEASON TIRES.WHO WE ARETafel Motors' unparalleled customer experience begins the moment you enter our inviting, modern Mercedes-Benz dealership. Our entire staff of friendly, professional, and knowledgeable employees is focused and fully committed to meeting the needs of every guest visiting our showroom, service center, customer lounge, and our lifestyle boutique. Our goal is to deliver a customer experience so memorable that it sets a standard by which all future experiences will be judged.Horsepower calculations based on trim engine configuration. Fuel economy calculations based on original manufacturer data for trim engine configuration. Please confirm the accuracy of the included equipment by calling us prior to purchase. Sunroof, Heated Seats, iPod/MP3 Input, Back-Up Camera, Alloy Wheels, ALL-SEASON TIRES, SIGNATURE TRIM, All Wheel Drive, Turbo Charged. Cooper S trim, Moonwalk Grey metallic exterior and Carbon Black Leatherette interior. EPA 30 MPG Hwy/21 MPG City! Warranty 4 yrs/50k Miles - Drivetrain Warranty;KEY FEATURES INCLUDEAll Wheel Drive, Back-Up Camera, Turbocharged, iPod/MP3 Input, Dual Moonroof MINI Cooper S with Moonwalk Grey metallic exterior and Carbon Black Leatherette interior features a 4 Cylinder Engine with 189 HP at 5000 RPM*.OPTION PACKAGESSIGNATURE TRIM Connected Media System w/6.5 Touchscreen, Transmission: Sport Automatic, Dynamic Damper Control, Active Driving Assistant, Comfort Access Keyless Entry, Heated Front Seats, Automatic Climate Control, MINI Driving Modes, JCW Leather Steering Wheel, Piano Black Interior Surface, MINI Assist eCall, MINI TeleServices, ALL-SEASON TIRES.MORE ABOUT USTafel Motors' unparalleled customer experience begins the moment you enter our inviting, modern Mercedes-Benz dealership. Our entire staff of friendly, professional, and knowledgeable employees is focused and fully committed to meeting the needs of every guest visiting our showroom, service center, customer lounge, and our lifestyle boutique. Our goal is to deliver a customer experience so memorable that it sets a standard by which all future experiences will be judged.Horsepower calculations based on trim engine configuration. Fuel economy calculations based on original manufacturer data for trim engine configuration. Please confirm the accuracy of the included equipment by calling us prior to purchase. Moonroof, Nav System, Heated Seats, Back-Up Camera, iPod/MP3 Input, All Wheel Drive, ALL-SEASON TIRES, TOUCHSCREEN NAVIGATION PACKAGE, LED HEADLIGHTS W/CORNERING LIGHTS, CONVENIENCE PACKAGE, Aluminum Wheels, Turbo Charged Engine, SIGNATURE TRIM. Thunder Grey metallic exterior and Carbon Black Leatherette interior, Cooper S trim. FUEL EFFICIENT 30 MPG Hwy/21 MPG City!KEY FEATURES INCLUDEAll Wheel Drive, Back-Up Camera, Turbocharged, iPod/MP3 Input, Dual Moonroof.OPTION PACKAGESSIGNATURE TRIM Connected Media System w/6.5 Touchscreen, Transmission: Sport Automatic, Dynamic Damper Control, Active Driving Assistant, Comfort Access Keyless Entry, Heated Front Seats, Automatic Climate Control, MINI Driving Modes, JCW Leather Steering Wheel, Piano Black Interior Surface, MINI Assist eCall, MINI TeleServices, TOUCHSCREEN NAVIGATION PACKAGE Remote Services, Advanced Real-Time Traffic Information, Apple CarPlay Compatibility, MINI Assist eCall, Wireless Charging & Enhanced Bluetooth, MINI Navigation, MINI Connected XL, MINI TeleServices, CONVENIENCE PACKAGE Space-Saver Spare, Alarm System, Rear Center Armrest, LED HEADLIGHTS W/CORNERING LIGHTS LED Fog Lights, ALL-SEASON TIRES.OUR OFFERINGSTafel Motors' unparalleled customer experience begins the moment you enter our inviting, modern Mercedes-Benz dealership. Our entire staff of friendly, professional, and knowledgeable employees is focused and fully committed to meeting the needs of every guest visiting our showroom, service center, customer lounge, and our lifestyle boutique. Our goal is to deliver a customer experience so memorable that it sets a standard by which all future experiences will be judged.Horsepower calculations based on trim engine configuration. Fuel economy calculations based on original manufacturer data for trim engine configuration. Please confirm the accuracy of the included equipment by calling us prior to purchase. Heated Seats, Sunroof, Back-Up Camera, iPod/MP3 Input, PREMIUM PACKAGE, ALL-SEASON TIRES, UNIVERSAL GARAGE-DOOR OPENER, SIGNATURE TRIM, Turbo, All Wheel Drive, Alloy Wheels. EPA 30 MPG Hwy/21 MPG City! Cooper S trim, Moonwalk Grey metallic exterior and Carbon Black Leatherette interior. Warranty 4 yrs/50k Miles - Drivetrain Warranty;KEY FEATURES INCLUDEAll Wheel Drive, Back-Up Camera, Turbocharged, iPod/MP3 Input, Dual Moonroof. MINI Cooper S with Moonwalk Grey metallic exterior and Carbon Black Leatherette interior features a 4 Cylinder Engine with 189 HP at 5000 RPM*.OPTION PACKAGESSIGNATURE TRIM Connected Media System w/6.5 Touchscreen, Transmission: Sport Automatic, Dynamic Damper Control, Active Driving Assistant, Comfort Access Keyless Entry, Heated Front Seats, Automatic Climate Control, MINI Driving Modes, JCW Leather Steering Wheel, Piano Black Interior Surface, MINI Assist eCall, MINI TeleServices, PREMIUM PACKAGE harman/kardon Premium Sound System, Auto-Dimming Interior & Exterior Mirrors, Power Front Seats, LED Headlights w/Cornering Lights, LED Fog Lights, Power-Folding Mirrors, SiriusXM Satellite Radio, 1 year all access subscription, Chrome Line Exterior, UNIVERSAL GARAGE-DOOR OPENER, ALL-SEASON TIRES.VISIT US TODAYTafel Motors' unparalleled customer experience begins the moment you enter our inviting, modern Mercedes-Benz dealership. Our entire staff of friendly, professional, and knowledgeable employees is focused and fully committed to meeting the needs of every guest visiting our showroom, service center, customer lounge, and our lifestyle boutique. Our goal is to deliver a customer experience so memorable that it sets a standard by which all future experiences will be judged.Horsepower calculations based on trim engine configuration. Fuel economy calculations based on original manufacturer data for trim engine configuration. Please confirm the accuracy of the included equipment by calling us prior to purchase. Heated Seats, Sunroof, iPod/MP3 Input, Back-Up Camera, DRIVER ASSISTANCE PACKAGE, UNIVERSAL GARAGE-DOOR OPENER, CONVENIENCE PACKAGE, All Wheel Drive, Turbo Charged, ICONIC TRIM. EPA 30 MPG Hwy/21 MPG City! Cooper S trim, Island Blue metallic exterior and Chesterfield Lth British Oak interior. Warranty 4 yrs/50k Miles - Drivetrain Warranty;KEY FEATURES INCLUDEAll Wheel Drive, Back-Up Camera, Turbocharged, iPod/MP3 Input, Dual Moonroof.OPTION PACKAGESICONIC TRIM Transmission: Sport Automatic, Dynamic Damper Control, harman/kardon Premium Sound System, Power Tailgate, Active Driving Assistant, LED Headlights w/Cornering Lights, LED Fog Lights, Power-Folding Mirrors, Without Additional Chrome Interior Trim, SiriusXM Satellite Radio, 1 year all access subscription, Touchscreen Navigation Package, Remote Services, Advanced Real-Time Traffic Information, Apple CarPlay Compatibility, MINI Assist eCall, Wireless Charging & Enhanced Bluetooth, MINI Navigation, MINI Connected XL, MINI TeleServices, ALL4-Style Exterior Trim, Comfort Access Keyless Entry, Storage Package, Heated Front Seats, MINI Yours Leather Steering Wheel, MINI Driving Modes, Automatic Climate Control, Auto-Dimming Interior & Exterior Mirrors, Power Front Seats, Piano BlackOUR OFFERINGSTafel Motors' unparalleled customer experience begins the moment you enter our inviting, modern Mercedes-Benz dealership. Our entire staff of friendly, professional, and knowledgeable employees is focused and fully committed to meeting the needs of every guest visiting our showroom, service center, customer lounge, and our lifestyle boutique. Our goal is to deliver a customer experience so memorable that it sets a standard by which all future experiences will be judged.Horsepower calculations based on trim engine configuration. Fuel economy calculations based on original manufacturer data for trim engine configuration. Please confirm the accuracy of the included equipment by calling us prior to purchase. Nav System, Moonroof, iPod/MP3 Input, TOUCHSCREEN NAVIGATION PACKAGE, Aluminum Wheels, Turbo Charged Engine, Back-Up Camera, All Wheel Drive. Cooper S E trim, Melting Silver metallic exterior and Carbon Black Dinamica/Cloth interior. Warranty 4 yrs/50k Miles - Drivetrain Warranty;KEY FEATURES INCLUDEAll Wheel Drive, Back-Up Camera, Turbocharged, iPod/MP3 Input, Dual Moonroof MINI Cooper S E with Melting Silver metallic exterior and Carbon Black Dinamica/Cloth interior features a 3 Cylinder Engine with 221 HP at 4400 RPM*.OPTION PACKAGESTOUCHSCREEN NAVIGATION PACKAGE Remote Services, Advanced Real-Time Traffic Information, Apple CarPlay Compatibility, MINI Assist eCall, Wireless Charging & Enhanced Bluetooth, MINI Navigation, MINI Connected XL, MINI TeleServices.BUY FROM AN AWARD WINNING DEALERTafel Motors' unparalleled customer experience begins the moment you enter our inviting, modern Mercedes-Benz dealership. Our entire staff of friendly, professional, and knowledgeable employees is focused and fully committed to meeting the needs of every guest visiting our showroom, service center, customer lounge, and our lifestyle boutique. Our goal is to deliver a customer experience so memorable that it sets a standard by which all future experiences will be judged.Horsepower calculations based on trim engine configuration. Please confirm the accuracy of the included equipment by calling us prior to purchase. NAV, Sunroof, iPod/MP3 Input, TOUCHSCREEN NAVIGATION PACKAGE, Alloy Wheels, Turbo, Back-Up Camera, All Wheel Drive. Cooper S E trim, Thunder Grey metallic exterior and Carbon Black Dinamica/Cloth interior. Warranty 4 yrs/50k Miles - Drivetrain Warranty;KEY FEATURES INCLUDEAll Wheel Drive, Back-Up Camera, Turbocharged, iPod/MP3 Input, Dual Moonroof MINI Cooper S E with Thunder Grey metallic exterior and Carbon Black Dinamica/Cloth interior features a 3 Cylinder Engine with 221 HP at 4400 RPM*.OPTION PACKAGESTOUCHSCREEN NAVIGATION PACKAGE Remote Services, Advanced Real-Time Traffic Information, Apple CarPlay Compatibility, MINI Assist eCall, Wireless Charging & Enhanced Bluetooth, MINI Navigation, MINI Connected XL, MINI TeleServices.OUR OFFERINGSTafel Motors' unparalleled customer experience begins the moment you enter our inviting, modern Mercedes-Benz dealership. Our entire staff of friendly, professional, and knowledgeable employees is focused and fully committed to meeting the needs of every guest visiting our showroom, service center, customer lounge, and our lifestyle boutique. Our goal is to deliver a customer experience so memorable that it sets a standard by which all future experiences will be judged.Horsepower calculations based on trim engine configuration. Please confirm the accuracy of the included equipment by calling us prior to purchase. Sunroof, Heated Seats, Back-Up Camera, iPod/MP3 Input, All Wheel Drive, ALL-SEASON TIRES, FRONT SPORT SEATS, UNIVERSAL GARAGE-DOOR OPENER, PREMIUM PACKAGE, Alloy Wheels, Turbo, SIGNATURE TRIM. Moonwalk Grey metallic exterior and Carbon Black Leatherette interior, Cooper S E trim. Warranty 4 yrs/50k Miles - Drivetrain Warranty;KEY FEATURES INCLUDEAll Wheel Drive, Back-Up Camera, Turbocharged, iPod/MP3 Input, Dual Moonroof MINI Cooper S E with Moonwalk Grey metallic exterior and Carbon Black Leatherette interior features a 3 Cylinder Engine with 221 HP at 4400 RPM*.OPTION PACKAGESPREMIUM PACKAGE harman/kardon Premium Sound System, Auto-Dimming Interior & Exterior Mirrors, Power Front Seats, LED Headlights w/Cornering Lights, LED Fog Lights, Power-Folding Mirrors, SiriusXM Satellite Radio, 1 year all access subscription, Chrome Line Exterior, SIGNATURE TRIM Connected Media System w/6.5 Touchscreen, Heated Front Seats, Automatic Climate Control, Active Driving Assistant, Piano Black Interior Surface, MINI Assist eCall, Comfort Access Keyless Entry, MINI TeleServices, UNIVERSAL GARAGE-DOOR OPENER, ALL-SEASON TIRES, FRONT SPORT SEATS (STD).BUY FROM AN AWARD WINNING DEALERTafel Motors' unparalleled customer experience begins the moment you enter our inviting, modern Mercedes-Benz dealership. Our entire staff of friendly, professional, and knowledgeable employees is focused and fully committed to meeting the needs of every guest visiting our showroom, service center, customer lounge, and our lifestyle boutique. Our goal is to deliver a customer experience so memorable that it sets a standard by which all future experiences will be judged.Horsepower calculations based on trim engine configuration. Please confirm the accuracy of the included equipment by calling us prior to purchase. New vehicle pricing includes all offers and incentives. Tax, Title and Tags not included in vehicle prices shown and must be paid by the purchaser. While great effort is made to ensure the accuracy of the information on this site, errors do occur so please verify information with a customer service rep. This is easily done by calling us at (502) 893-7770 or by visiting us at the dealership. ©2018 The MINI name, model names and logo are registered trademarks. 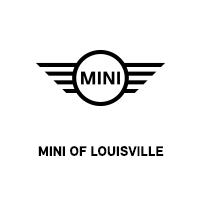 MINI of Louisville	38.2511607, -85.6404993.